Although there are many species of moles found world wide, there are at least 5 which can be found in the UK. 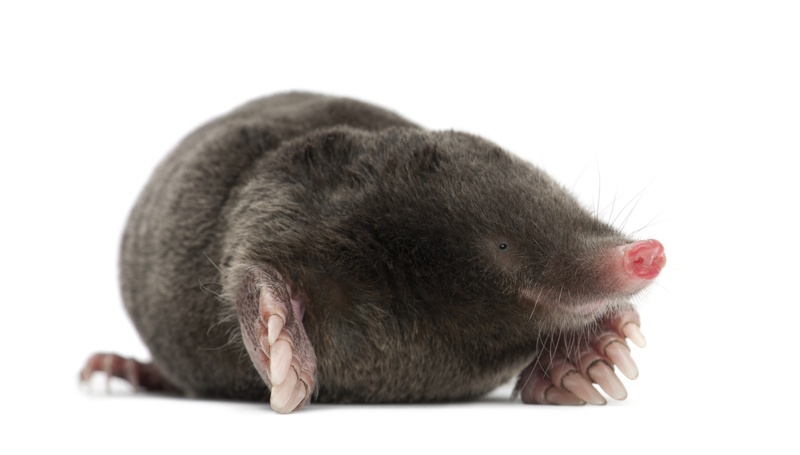 The Eastern Mole is the most common mole pest in lawns and gardens. Moles have soft fur, a pointed nose or snout and broad, powerful, clawed feet; their front feet enable them to quickly maneuver through the soil, tunneling as they search for food. Even though they are considered beneficial to farmers and gardeners (feeding on insects and grubs) they can become quite a nuisance when they begin to destroy lawns or turf grasses in homes or golf courses. Many people will confuse mole infestations with molecricket infestations. While both tunnel, moles have larger and deeper runs and feed on young insects (including molecrickets), grubs, worms. Molecrickets tend to run more shallow (during peak turf damage season) and feed on tender plant growth beneath the soil's surface. Green June Beetles also damage by tunneling but the signs of their activity are not usually confused with the runs or tunnels associated with moles. On their never ending quest for food, this animal's tunneling activity disrupts our lawns and gardens, separating the plant roots from the soil. Without root to soil contact, the grass or plant can obviously die where extensive tunneling is present The plants are not being eaten by the animal; the tunneling kills plants. These furry little creatures love areas where grub and insect populations are high. There are two reasons why these pests are in your lawn. First, the environment we create for nice lawns are also a prime breeding and feeding area for lawn insect pests, grubs (or insect larvae) and earth worms. The rich, well-irrigated soil in which the turf grasses grow are a haven for molecrickets, worms, grubs and insects which feed on lawns. A mole can eat its body weight in prey, in a very short period, meaning that it does need a high population of these insects or worms. Second, many of our customers with mole infestations live close to a wooded area (natural habitat) or close to newly constructed homes, businesses or sub-divisions. In short, the animals are being forced out of their natural habitat into our lawns in search of food. Removing Moles from your land or property can be an issue for some. Mole removal procedures consist of humanely as possible dispatching the Moles. 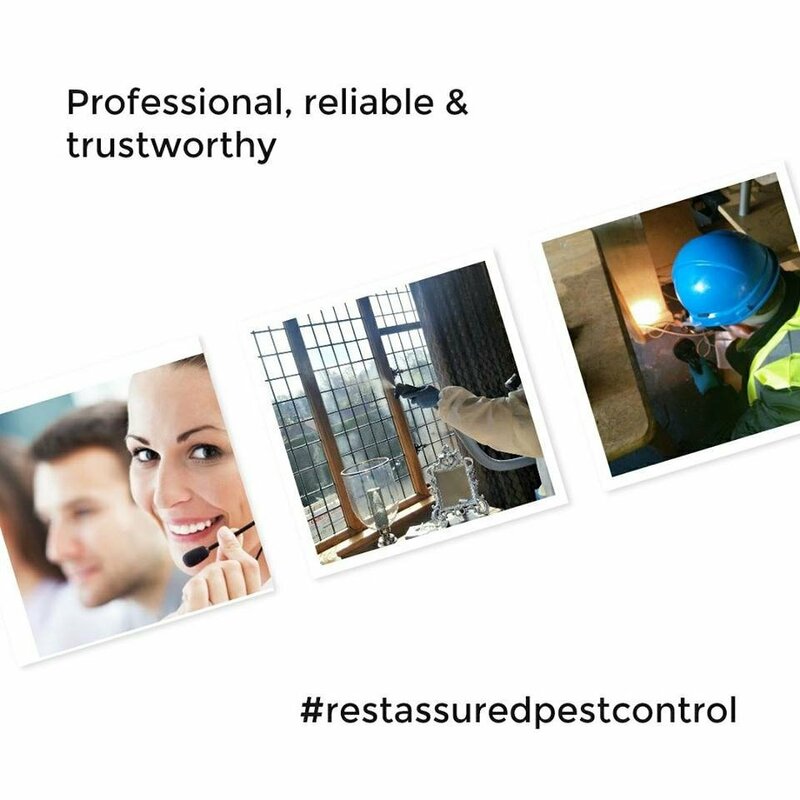 Our fully trained technicians are experts in Mole eradication. 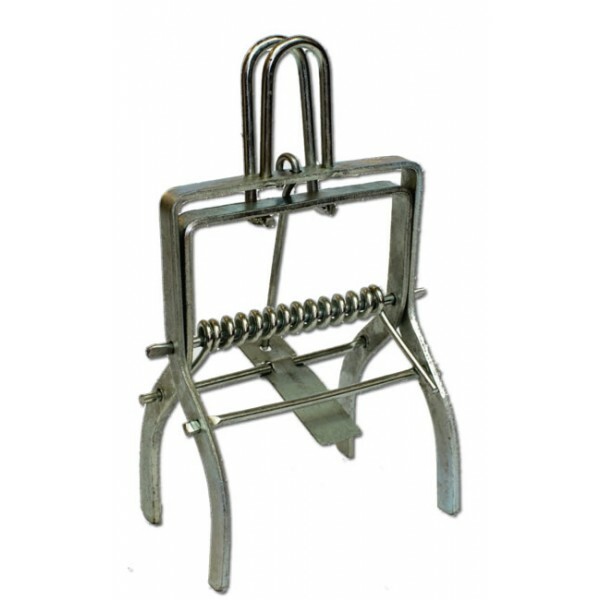 A robust double entry spring-style mole trap constructed from zinc plated steel.